1,000,000 Honda Buyer’s Advanced Safety Equipped in the U.S. This week American Honda Motor Company announces an important safety milestone. According to the maker 1,000,000 Honda Cars and light trucks on the road today are “Honda Sensing” equipped. What’s it do , and how does it work? I first experienced Honda Sensing advanced active safety and driver assist, or the Acura equivalent thereof, back in early 2014 behind the wheel of Acura RLX. As a well seasoned, hands-on driver, my first impulse at that time was to deactivate the feature. That was until Honda Sensing saved my proverbial bacon in stop and go traffic just south of the Golden Gate bridge. As an erratic driver pulled onto the Freeway, and transitioned in front of the Acura RLX without signaling, I experienced radar activated accident mitigating self-braking first hand. Frankly, I was a bit startled, as well as relieved at how well it worked. Not quite sold on the new fangled, camara, and sometimes Radar activated technology, it would be a year or two down the road before I’d embrace this potentially life saving electronic engineering marel. Now, after driving thousands of miles with the technology activated, I find myself missing a bit of driving and parking assistance from my latest test drive of the week. Example: Honda Pilot Touring will self-brake down to a stop, and resume with flow of traffic. It will also self-brake before hitting a stopped object from 30 MPH. Torque News experience Honda Pilot and Autonomous collision mitigation braking on a NASCAR racetrack in Kentucky. In speaking with several Auto Brand engineers, Torque News learns that Automakers, including Honda, presently have the technology at hand, to equip your car or light truck with Autonomous driving technology. However, and this factoid is hard to argue -- the vast majority of the driving public, and the municipalities that they operate their vehicles in, are not ready for fully automated automobiles. 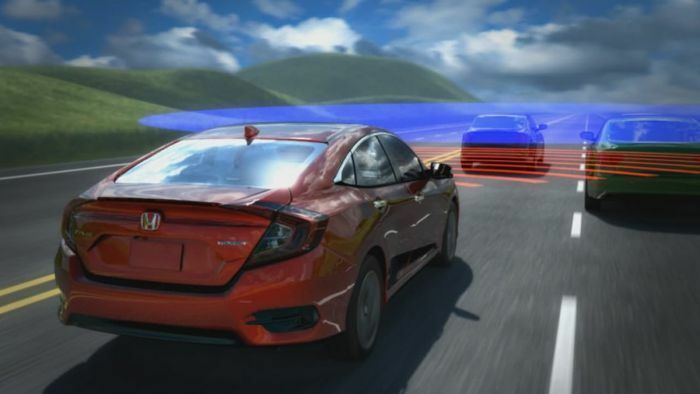 American Honda Motors states with confidence that by model year 2022, all of their car and light truck models will be standard equipped with Honda Sensing -- in answer to Honda’s quest for greater public safety, fewer auto-related injuries, and ZERO fatalities. Near Autonomous technology takes 2018 Honda Accord to the highest level of safety and driver-assist convenience. A long time coming: Honda takes the lead in bringing standard advanced safety features to the entry level buyer. This week Honda announced a milestone in safety; reaching 1,000,000 vehicles now running the streets and highways of the U.S.. That’s a big deal for consumers, as Honda move closer to their goal of ZERO auto accident related fatalities by 2022 -- just around the corner in automotive development cycles. I repeated a factoid or two because I believe that there’s nothing more important than the safety of drivers and passengers, so do our friends at Honda. Check out the Video below for how Honda Sensing and adaptive cruise control works.